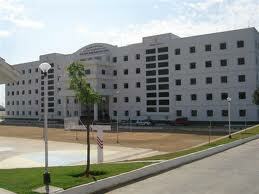 The college is setup amidst lush green natural surroundings with a true pearly white building. To look at, NMREC is a commitment with joy. This college was established in the year 2001 with a view to provide quality education. The institution is a creation of Educational Entrepreneurs, who have been in the education field for more than a decade and a half. The basic philosophy of the Institute is to provide quality technical education with thorough practical knowledge. Placements: Placement Center thinks big for the students of the College. It nurtures and works to make them realise their dreams. The target for the students is truly big and each one of them is trained thoroughly to get well placed. Through regular and methodical contacts with the prospective employers, the center arranges on-campus and off-campus placements. Realising the importance of proper utilization of Human Resources for the true progress of the nation, regular training in technical and soft skills is imparted to the students. The center in collaboration with the other departments of the college constantly works towards the development and progress of the students to meet the Human Resources needs of the institutions that provide and generate placements to them. Our students have been placed in some well known organizations like CSC, Satyam Mahindra, Capital IQ, and TCS. The college is in the process of organizing on campus interviews by some of the top companies in this academic year. Many corporate like Bajaj Allianz, ICICI Prudential, IBM, Angel Broking, TCS, Stam Multimedia Solutions, Saboo Motors, India bulls Securities Ltd., Jain Irrigation Systems Pvt. Ltd., etc., visited our campus. Besides our students had the opportunity to attend interviews in Capital IQ, Parker Morkel, Agi-Glaspac etc. Many more interviews have been planned in June and July 2010. Campus: The college is setup amidst lush green natural surroundings with a true pearly white building. To look at, NMREC is a commitment with joy. This college was established in the year 2001 with a view to provide quality education. The institution is a creation of Educational Entrepreneurs, who have been in the education field for more than a decade and a half. The basic philosophy of the Institute is to provide quality technical education with thorough practical knowledge. The college has all the infrastructure and labs required for the curriculum, and more than what is mentioned by the AICTE and JNTU. The facilities provided by the college include a huge Library with a Digital Library and a digital subscription for all the IEEE publications, and a subscription to many other National and International Journals. Technical activities constitute a major part in the course at NMREC. These activities help the students in getting closer to the real world requirements and state. As part of the technical activities, technical clubs in each department offer industry oriented courses, guest lectures, projects, and even GATE / coaching for the final year students.